The Republican Party’s small tent is getting a little smaller. Charlie Crist is the latest moderate Republican to find that moderate candidates can no longer win in a party which has been taken over by the extreme right wing. 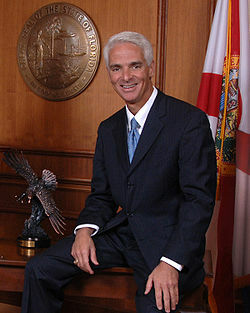 Crist is expected to announce tomorrow that he is running as an independent. While he is expected to lose in the Republican primary for the Florida Senate seat, he now appears to have an even shot running as an independent. Posted in Independents, Republicans. RSS feed for comments on this post.. TrackBack URL.